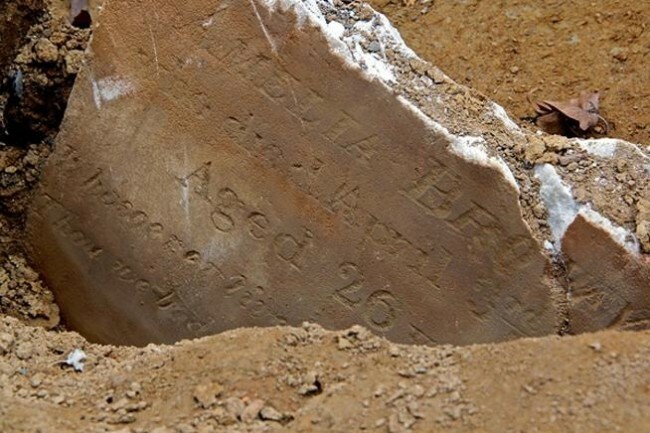 Ten-day-old James Hill died this day, December 4th, in 1828 and was buried at Bethel Burying Ground. In 1828, 13% of the inmates of the Philadelphia Almshouse were African American, however, only between 6-9% of the residents of the city and districts were non-whites. How was it that a financially destitute young woman was able to afford the cost of burying her son at a private cemetery? It is very likely that there were other Hill family members already buried at Bethel Burying Ground. It was a common practice for graveyard managers to allow families to inter young children in the same grave of a sibling or parent, thus lowering the cost for the impoverished family. The body of the child would simply be shrouded and laid in the open grave. Even the labor cost for this would have been out of reach for Ms. Hill and it was likely paid by an African American charitable organization. Below are Hill family members who are buried at Bethel Burying Ground and who may be related to Ms. Hill. There is no mention of William Hill in any federal or local censuses or city directories. Further research at the Philadelphia City Archives in the “Daily Occurrence Dockets” of the Philadelphia Almshouse for the months of November and December in 1828 may reveal Ms. Hill’s first name. Suggested reading on the history of the Philadelphia Almshouse: “Welfare and the Poor in the Nineteenth-Century City: Philadelphia 1800-1854” by Priscilla Ferguson-Clement. ← The two-year-old son of Sarah Marshall died this date, November twenty-fifth, in 1848 and was buried at Bethel Burying Ground.